I think my style and taste has evolved in two directions, I either go for minimal ensembles with a touch of edge to them or very girly and feminine pieces. It has changed so much over the years and it's still continuously changing. Perhaps I'll write a post all about my journey showing you older pictures. 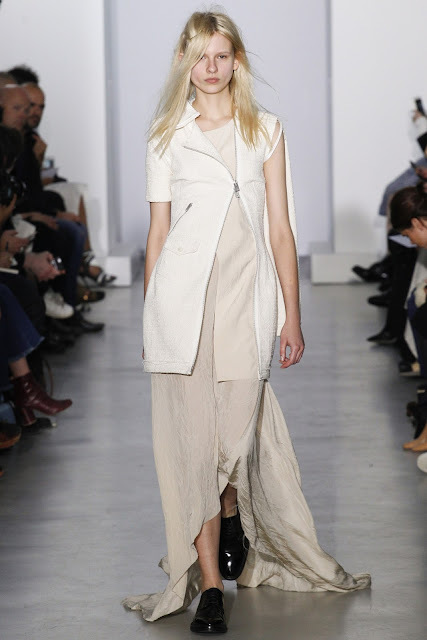 What I love about Yang Li's collection is the minimal effortless look. What do you think about it? Catch the whole collection on Vogue.co.uk. These runway trends are fabulous, thanks for sharing.Have a great day, Kisses! Thanks for sharing this post..! !